I was going to write a review of the Spotify app, but the more I thought about it, the less I wanted to. How can you critique what you love? And honestly, I do love Spotify. So instead, I'm just going to tell you, as best as I can, why Spotify is my favorite Android app. 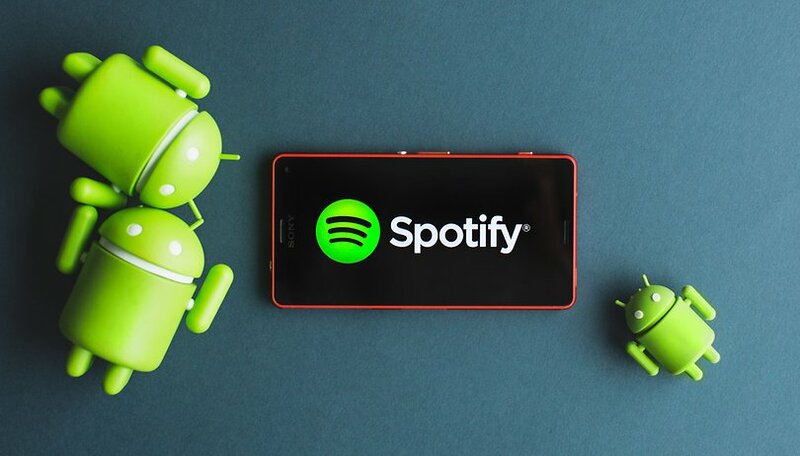 Spotify is a Swedish music streaming service available in more than 50 languages with an estimated 75 million users. It offers both an ad-supported free version and a premium subscription for US$9.99 a month, but both offer unlimited streaming of its 20 million-plus songs. Spotify is my favorite Android app because it lets me listen to music that I love. But since many services offer this, below I will outline some other ways that Spotify excels. In Spotify, if I like a particular song, I can create a radio station using that song as a reference point. Spotify will then launch a playlist of other similar songs. As well as being able to easily save any of those tracks to listen to again later, I can also give each song a thumbs up, or a thumbs down, thus improving the playlist for other users with a "wisdom of the crowd" type effect. Does it work? It works incredibly well. I’m a pretty open-minded person when it comes to music so it probably has more appeal to me than someone who only likes a very niche sound or genre. But generally speaking, using the radio always introduces me to at least one another song or artist that I like, and that’s all I ask. Spotify introduced its Discover Weekly feature back in July 2015. Discover Weekly is Spotify's attempt to get me hooked on music I've never heard before. This personalized playlist is issued once per week and can include new music from an artist I already like, or older tracks from unknown artists I might have missed. Just to make something clear at this point: Spotify doesn’t actually know what I like. Spotify uses algorithms that basically say 'user X likes a song in category Y, therefore, user X may also like this other song in category Y'. I’m making it sound far less sophisticated than it is, of course. In reality, though, I’m somewhat ashamed to admit how effective it is. Part of me hates that I’m so predictable, but it’s also so hard to complain when I’m having my ears stuffed with beautiful sonic art on a weekly basis: music that I otherwise might never hear. Like the latest episode of The Walking Dead, Spotify has created something I look forward to checking out as soon as its released every week. It's magic. I can use my smartphone as a control for Spotify. This may not sound significant: smartphones have always been able to act as remote controls. But it's the smoothness of the handover between PC and smartphone that's so damn satisfying. Picture it: I'm playing Spotify through a Bluetooth speaker using my PC, and then I pick up my phone and open the Spotify app. Spotify asks if I want to continue playing Spotify on my computer, or if the phone should take over. Whatever I choose to do next, it just works. My phone lies with the screen off in my lap, and I notice Spotify is too loud while I talk to friends about my amateur millinery business. I just nudge the volume down key on my phone and the volume decreases. My goodness, what did I do to deserve this? The major reason that Spotify appeals to me is that it combines all of its features so simply. We talk about "intuitive" apps quite a lot, but Spotify takes this to another level. I can tick a box to save an album in the Spotify web app before I leave work and it will be saved and downloaded to my phone ready for the commute home. Look, you could argue that Spotify's business approach is no different to King trying to keep me hooked on Candy Crush Saga. Guess what? I don’t care. You could be cynical about every company and business on earth and Spotify is no different. Yes, I could stream music for free with YouTube, but there are cheaper services available. Some major artists can't be found on Spotify. But this app does everything I want and it does it better than anything else I've used. What an amazing time to be alive. My smartphone, coupled with Spotify, means I can access millions of tracks, millions of pieces of art. This is profound: never before have we had such access to so much. Spotify is part of my daily life. As haters try to cloud it with cynicism, to say the magic of vinyl is lost, that Spotify supports insidious record labels, that it's just a distraction from the creation of better music or that our infinite access to music is a bad idea – I just don't agree. Like a soulmate, all I do is fall more deeply in love and fear that it’s ever taken away from me. What is your favorite app and why? Let me know in the comments. I agree with you on what you said about Spotify. It's a great app. I just started using Spotify and like it so far. I'm going to try out some of the features you wrote about which means that I'll probably like it even more. Thanks for the timely article Scott. To me there's a choice between reliably getting exactly the album or artist I want - via Spotify - or just getting a good stream of curated music in a genre, which can help music "discovery" - via Pandora's algorithm or the very good RadioTunes (formerly Sky.fm) and JazzRadio humanly curated. I haven't seen fit to pay for a music streaming service and use my MP3 collection when away from wifi. For Spotify, the Android app is more intrusive with advertising than its website, and I'd generally rather listen over good speakers than headgear..
Love it. My only problem WAS that Spotify wasn't recognizing my phones SD card, and I didn't want to hog up all my internal memory saving songs. So what I figured out is that we can make playlists of entire albums which use no device memory & are there across all my platforms. The only drawback to that is the loss of offline playback which I haven't found to be a problem. The shuffle on Spotify is awful. It sometimes plays the same song back-to-back, and other songs in the playlist not at all. That is a deal breaker for me. I just got a new car with Bluetooth. I've been a paid Spotify and Sirius/XM user. I immediately cancelled Sirius. Spotify is not available in India.